Very prolific in their match-ups during an eight-year period, Janet Gaynor and Charles Farrell appeared together in 12 feature-length films. Their first two collaborations occurred in the silent era: 7th Heaven (1927) and Street Angel (1928). It was the strength of her performances in these two films, plus her efforts sans Charles Farrell in Sunrise (1927), that garnered Ms. Gaynor the very first Academy Award for best performance by an actress. It was also the appeal in these performances that generated a public clamoring for more vehicles teaming Janet Gaynor and Charles Farrell. 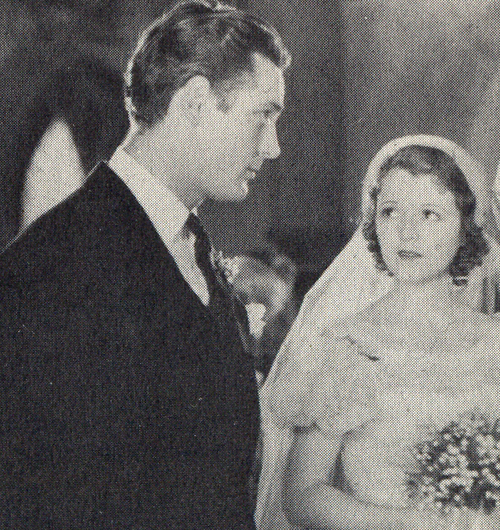 When their team effort in the movie Change Of Heart (1934) proved more a promotion for the career of Ginger Rogers, who appeared alongside Ms. Gaynor and Mr. Farrell, and the movie-going public consequently clamored for more Ginger Rogers, the Gaynor-Farrell team lost some of its glamor and, as far as the Studios were concerned, its marketability. Change Of Heart became the last screen appearance Ms. Gaynor and Mr. Farrell made together. OMGosh! They are the most amazing couple! I wish they had married as they seemed to make a great couple! Lucky Star 1929, on youtube for free and complete, check him out! with his heart into ours!! Seventh Heaven & Street Angel. as a clip on youtube looks wonderful too.